Abdulkarim Kasid, poet, essayist and translator, was born in Basra in 1946. He left Iraq in1978 and from 1980 to 1990 he lived and worked in Damascus. He is now settled in London with his two children. He has translated Prévert, Rimbaud and Saint-John-Perse into Arabic, while translations of his own work have recently been appearing in magazines in this country. The Many Press has published this pamphlet of his poetry, the first extensive representation of his work in English. John Welch is the publisher; below is his introduction to the collection. translator; in total he has published around forty books. He was born in 1946 in Iraq, in the city of Basra, and graduated in Philosophy from Damascus University in 1967, at the age of 21. He has taught Psychology and Arabic literature in both Iraq and in Algeria. He obtained an MA in translation from the University of Westminster, London in 1995. It was in 1978 that Abdulkareem left Iraq and fled to Kuwait. To avoid being found and sent back he left Kuwait for Yemen, where he settled in Aden and worked as an editor of the New Yemeni Culture magazine. He was living close to the house in which Rimbaud lived – appropriately enough as he has translated Rimbaud into Arabic. Between 1980 and 1990 he lived and worked in Damascus. He currently lives in London with his two children, following the death of his wife in January 2002. His poetry first appeared in English in Anthology of Translated Arabic Poetry (1987, Columbia University Press), and in Iraqi Poetry Today (2003, King’s College, London). He has since been published in Banipal, the London-based journal that present a wide range of Arabic literature, prose and poetry, in English translation. He is also featured in the Dictionary of Contemporary Arabic Authors, published in 1985 in English and German. In 2006 he worked on A Soldier’s Tale, a version of Stravinsky’s opera transposed to an Iraqi setting and performed at the Old Vic Theatre in London in 2006. Translations of his work have been appearing recently in a variety of print and online journals in the UK. As well as Rimbaud, his translations from French include Paroles by Jacques Prevert , Anabase by Saint-John Perse , and Papiers by Ritsos, which he translated from French into Arabic. Abdullah al-Udhari, who published it with his own TR Press. Al-Haidari died in 1995. Still resident in London is Saadi Youssef, whose selected poems Without an Alphabet Without a Face, translated by Khaled Mattawa, appeared from the American publisher Graywolf Press in 2002 and in 2011 Carcanet published Plague Lands by Fawzi Karim. It is inevitable that all these poets should reflect from time to time their country’s recent history. 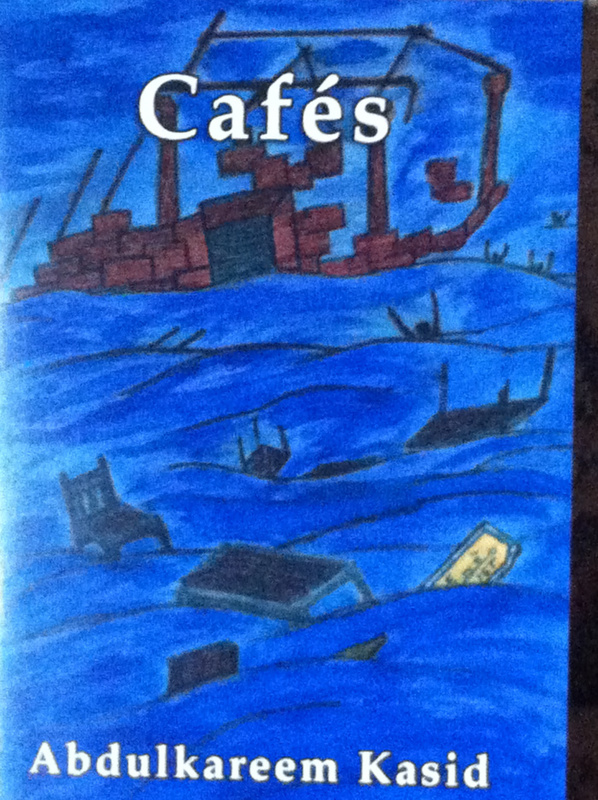 The café as a site of sociability and meeting place for writers features in Fawzi Karim’s work. Here in this sequence the short sections have, paradoxically in view of the underlying subject matter, a certain lightness of touch, but always edged with darkness. ‘Windows’ in a similar way treats its themes of oppression, nostalgia and flight in a manner that is both oblique and enigmatic. translated into French by Kader Rabia and into Amazighe, the language of the Berber people, by Sonia Lounis. I made an English version of the French which was then worked on in close consultation with the poet. ‘Windows’ was translated by the poet working with his daughter Sara Halub. This version was then worked on by David Kuhrt, again in close collaboration with the poet. Note: Copies of this chapbook can be obtained from The Many Press, 15 Norcott Road, London N16 7BJ priced at £3.50 post free.